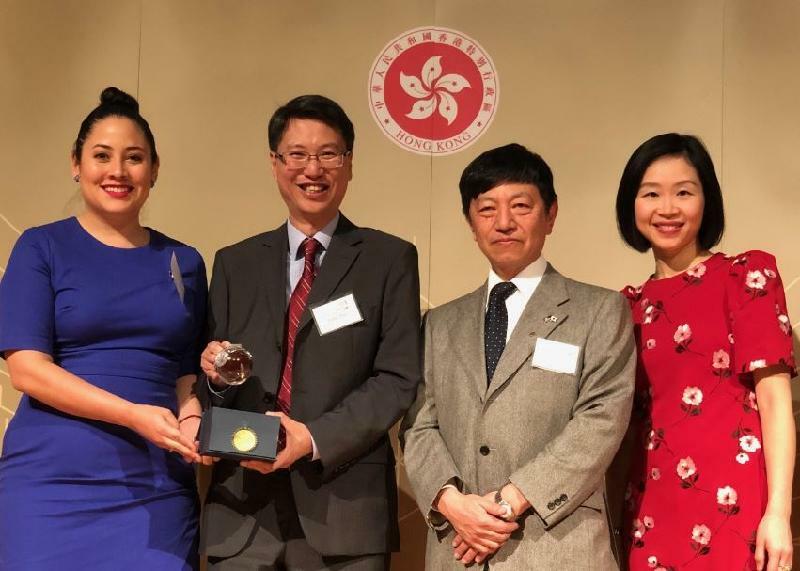 There has been a mutually beneficial partnership in economic and trade between Hong Kong and the United States, which also enjoys the largest surplus in trading with the city, said the Commissioner for Economic and Trade Affairs, USA, Mr Eddie Mak. Speaking at a Chinese New Year reception at the Carter Center, Atlanta, on January 31 (Atlanta time), Mr Mak said Hong Kong remains a free trade practitioner and supporter of the multilateral trading system, despite growing global trade tensions and the rise of protectionist sentiment. "We do not wish to see the marginalisation of a system which has benefited so many in the world. Instead, this underscores the need to constantly update and enhance the system," he said. 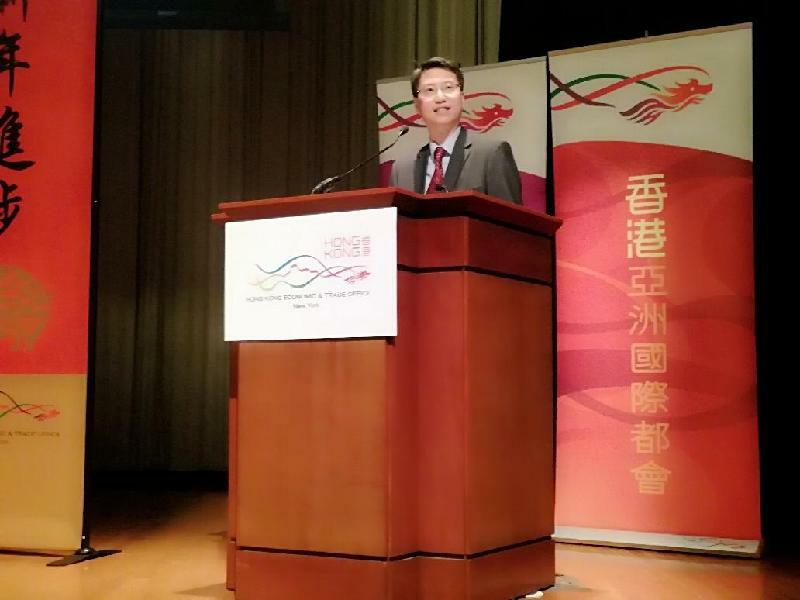 The Director of Hong Kong Economic and Trade Office in New York (HKETONY), Ms Joanne Chu, highlighted the growing trade, business and education ties between Hong Kong and Georgia at the annual festive event organised by HKETONY. Hong Kong is the sixth largest Asian export destination of the Peach State. At least 37 Georgia companies have operations in Hong Kong, including six Fortune 500 companies. They are UPS, Delta Air Lines, Coca-Cola, Southern, Mohawk Industries, and NCR. 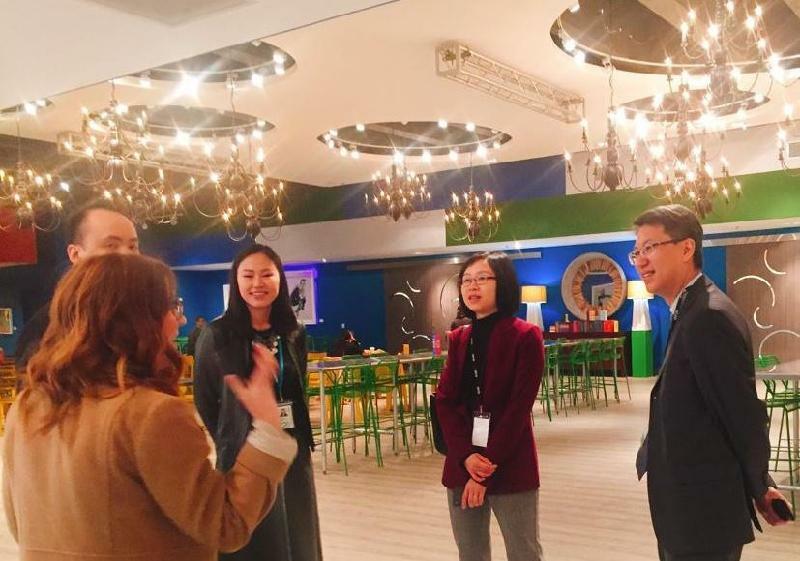 Atlanta-based media giant CNN produces over 30 hours of regionally-focused programme each week from its Hong Kong production centre. 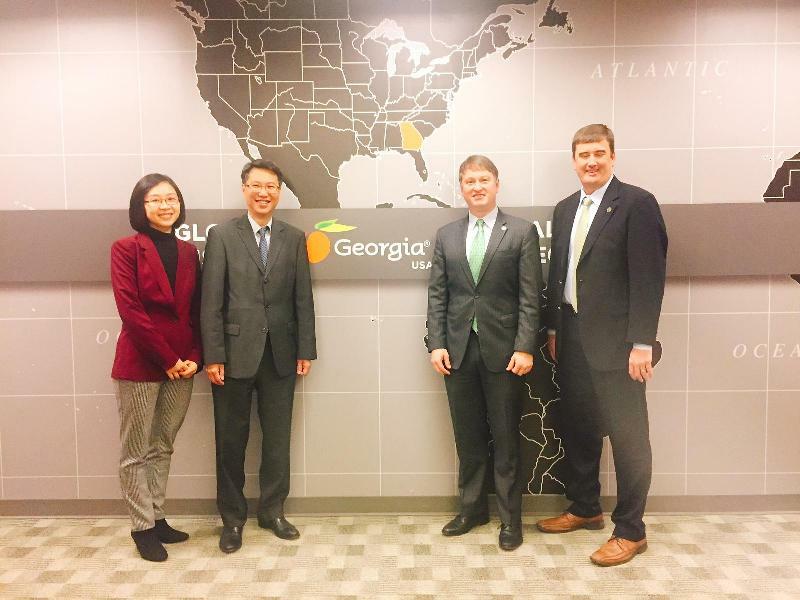 During the two-day visit in Atlanta, Mr Mak also called on the Commissioner of the Georgia Department of Economic Development, Mr Pat Wilson, who said agribusiness, technology, fintech, e-gaming and film could be areas for further collaboration between the two places. The state economic chief said the fourth largest export product from Georgia to Hong Kong was sunglasses, with high-end brands such as Ray Ban. 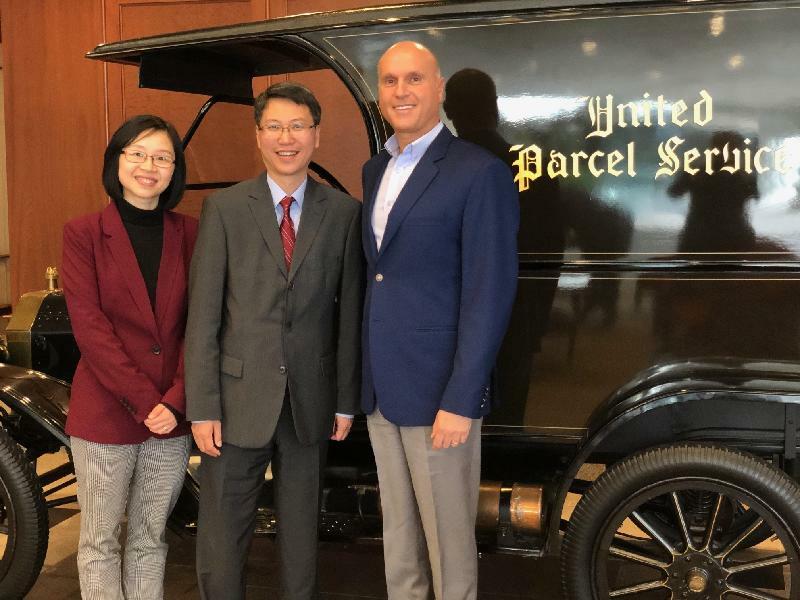 The Commissioner has also met with the President of UPS International, Mr Nando Cesarone, and exchanged views on the impact of the US-China trade tensions on international commerce, and on how the Hong Kong-Zhuhai-Macao Bridge was facilitating ground logistics. 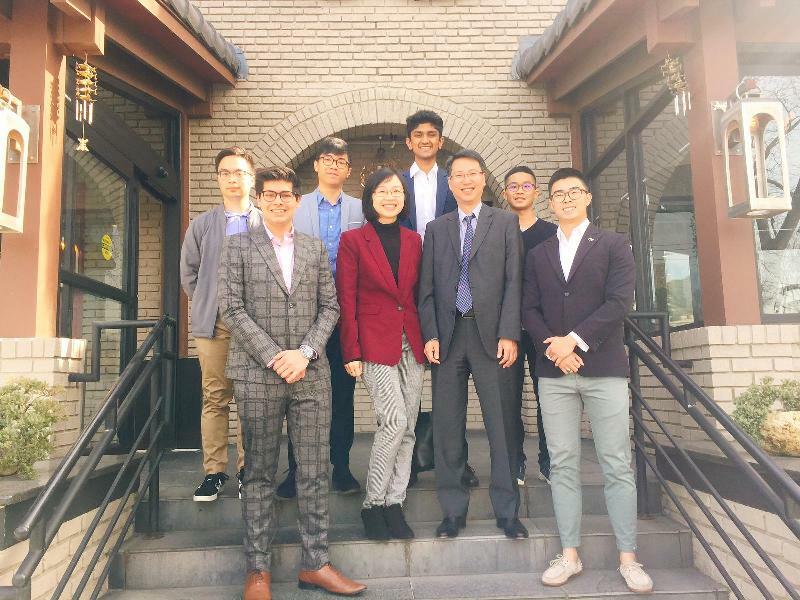 Meeting Hong Kong students currently studying at Georgia Institute of Technology and Emory University, Mr Mak encouraged the young guests to forge new frontiers in Hong Kong on completion of their studies. In mid-February, the Commissioner will continue his duty visits to major cities such as New York and Miami in the Eastern USA under the ambit of the HKETONY to foster ties with government leaders and major stakeholders.